With it only being 7 days till Halloween I decided to show my must haves for this years holiday! White foundation for me is a must because well my face is always white (whiter than normal) on Halloween. You can pick up cheap ones of these anywhere but I really like the Revecen one I got in my memebox as it's buildable and not heavy on the skin, and compared to some brands with one layer of this on your skin is actually white. 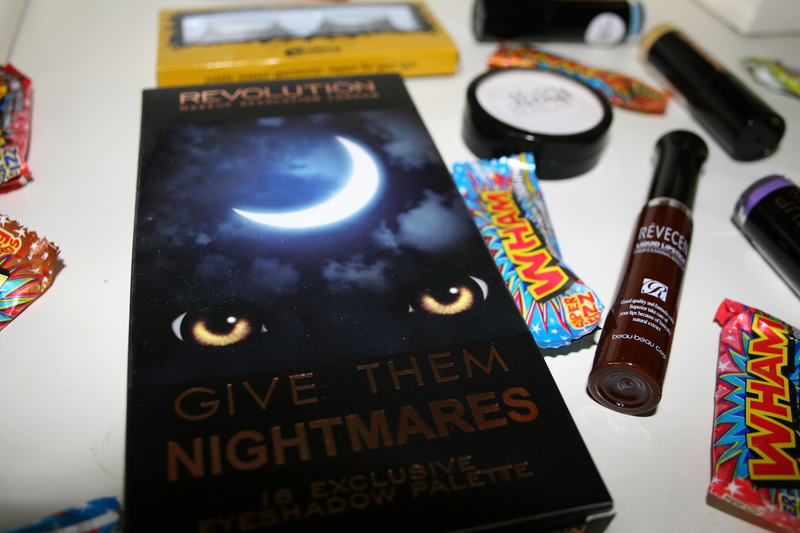 The Give Me Nightmares palette by Makeup Revolution is the perfect palette for Halloween with its gorgeous highly pigmented deep purples, blues, greens and black. Every colour you could possibly need to add colour to any look. Of course a look wouldn't be complete without some Halloween styled eyelashes, I have these gorgeous handmade batwinged styled lashes by Eldora. You can never go wrong with some fake blood during Halloween, again you can get this anywhere for cheap. I don't like the smell or feel of fake blood on my skin so I adore the Revecen Blood lipstick that you can use on lips as a lipstick or fake blood on the face. Finally a crazy lip colour is definitely acceptable! 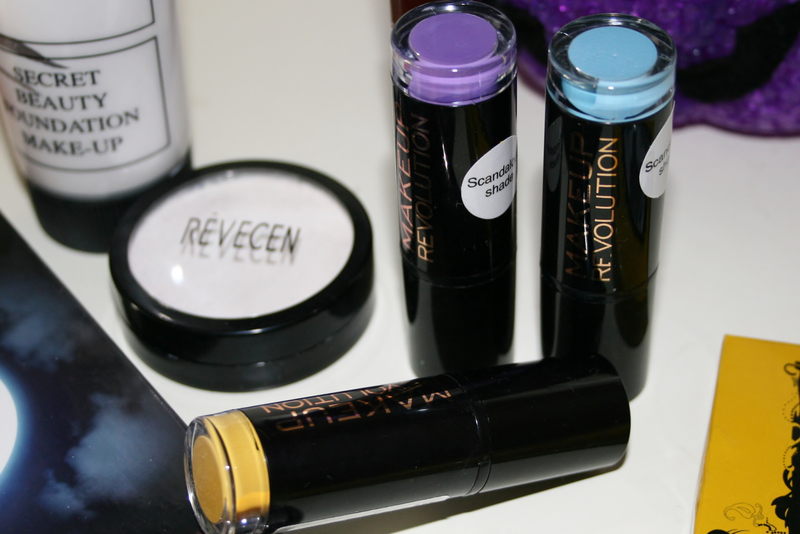 Makeup Revolution have brilliant pigmented lipsticks in any colour you want and it won't break the bank because they're seriously cheap. What are your Halloween beauty must haves? Oh my gosh. I keep seeing these lipsticks. I need to treat myself to some. They look amazing. That palette also looks awesome. Though I may be slightly judging a book by it's cover. Dem eyes! Everything looks amazinh, especially with all the candies scattered everywhere haha! I love the pictures you took. Their beautiful. Who won the skeleton beauty contest? No Body. haahaa. 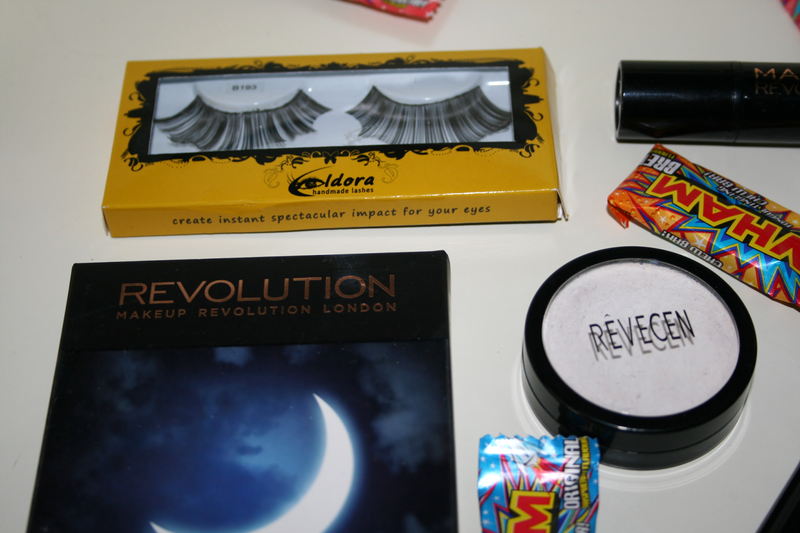 These products are so nice and perfect for halloween, I especially like thse eyelashes. Great post. 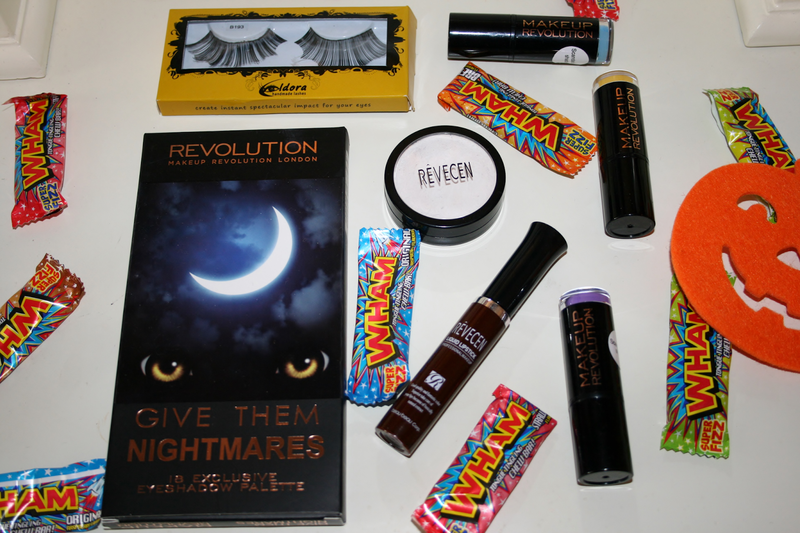 Perfect products for Halloween, love the eyelashes and lipsticks! These look so good, especially those eyelashes! I wish I could apply fake lashes properly otherwise I'd be all over those!